Catersource magazine’s annual State of the Industry feature, now in its fourth year of reporting, identifies key areas of focus for caterers in anticipation of its Catersource Conference and Tradeshow. In this first section of the full feature, Catersource looks to the rise of AI and robotics in the food and beverage industry. 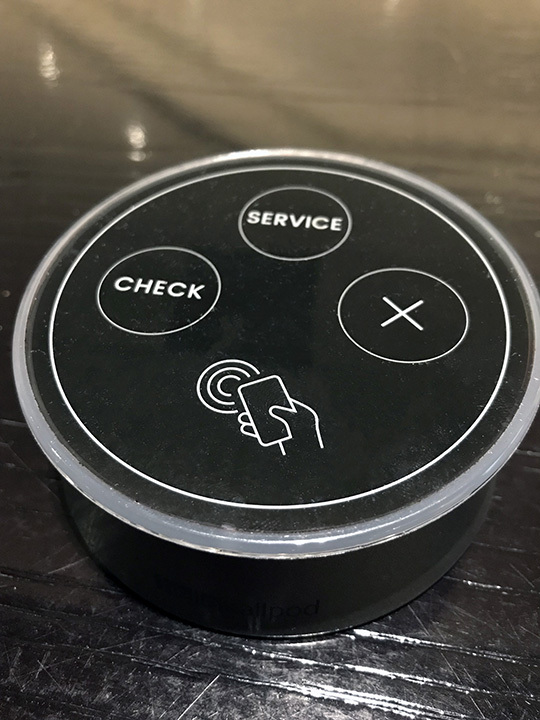 Technology, AI, robotics, driverless cars, Siri/Alexa, drones—it surrounds us and is integrating into our lives rapidly: at the National Restaurant Association show this past May, automation of all kinds dominated the event. 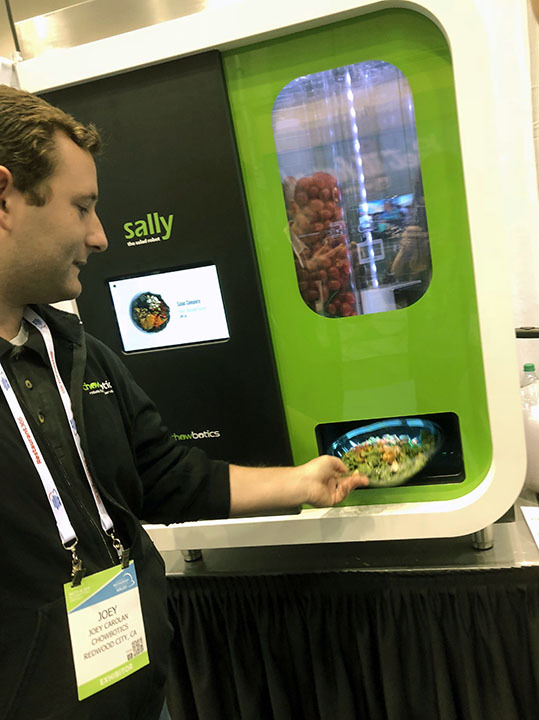 Self-serve kiosks, robot servers and bartenders, machines that mix drinks, roll sushi, or toss salads, coded food lockers, and even soft serve vending machines intrigued attendees. Things like recognize faces in photographs, make stellar chess moves, chatbot Q&As, or write a number one song that’s played to death on Spotify. And then there’s Haiku™: a soon-to-be-released AI platform from Datassential that, via 20 million inputted menu items and consumer ratings, can predict food trends of the future with a stated 99.3% accuracy. It’s algorithm, pure and simple, but admittedly—a pretty cool and innovative one. Subscribe to Catersource magazine’s once-a-year edition, and/or its bi-monthly Get Fresh newsletter here. At The Flavor Experience in August 2018, Jack Li laid the tracks down, showing the audience how closely predicted percentages versus actual percentages matched using Haiku. Take kale, for example: Looking at 2013 numbers and prior, Haiku predicted (without looking at subsequent later years) that kale would rise in popularity from the 2013 number of 5.4% to 18.2% in 2017. Actual numbers, when revealed, were 18.4%. Gochujang, a market newcomer and on only about 1.5% of U.S. menus, is predicted to grow 97.8% in popularity over the next four years, according to Haiku’s number crunching. “Use these forecasts to assess the direction and velocity of future trends,” said Li. Of course, noted Li, the program cannot predict overnight sensations. Interested in other predictions? Flip to the Food & Beverage area of this industry report for more. As labor costs rise, will a company’s investment in robotic technology recoup quickly? All signs point to the yes. Will robots replace the work that humans do? Absolutely, but this will also open up new opportunities, just in the way the dishwasher freed up time from the hand wash-and-dry. 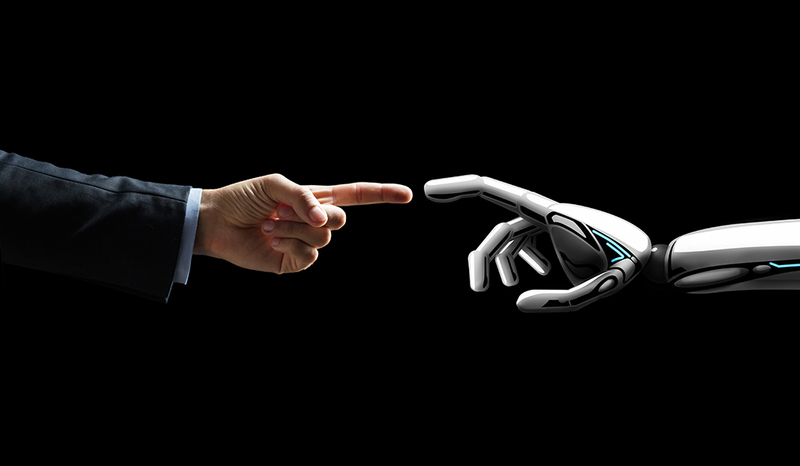 Look to robots to take care of repetitive tasks while humans…take care of humans. Customer service could evolve into a higher level of attention, the hiring and training process could be streamlined with more time spent on the intricacies of hospitality. How might you be able to look at automation and robotics as a complement to your business, rather than a competitor? Want to hear more about future trends at Catersource? A number of sessions will fill that bill, including 2019 Tech Game Changers in Catering & Events, presented by Sandy Hammer and Must See Event Technology Trends, presented by Scott Frankel. Go to schedule.catersource.com for more detailed descriptions.